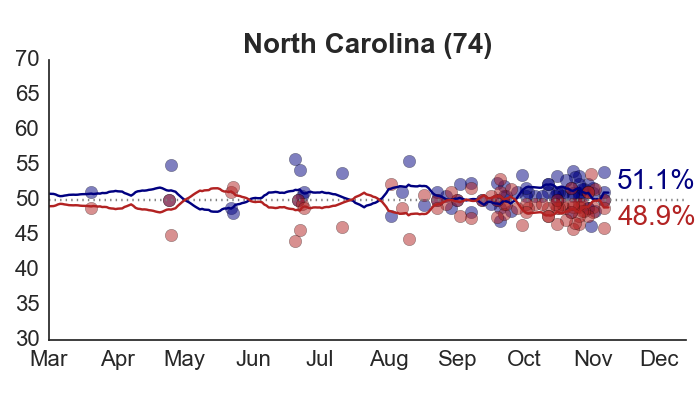 This election season, I’ve been doing some work with the Daily Kos Elections team to track and forecast the midterm Senate and Gubernatorial elections. 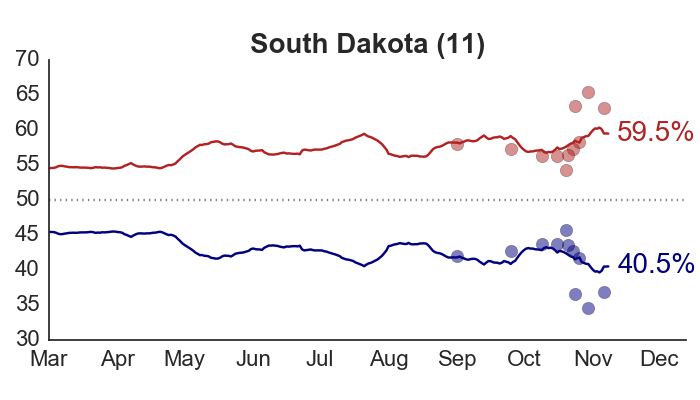 To see our predictions, click over to the Senate Outlook and Governors Outlook. 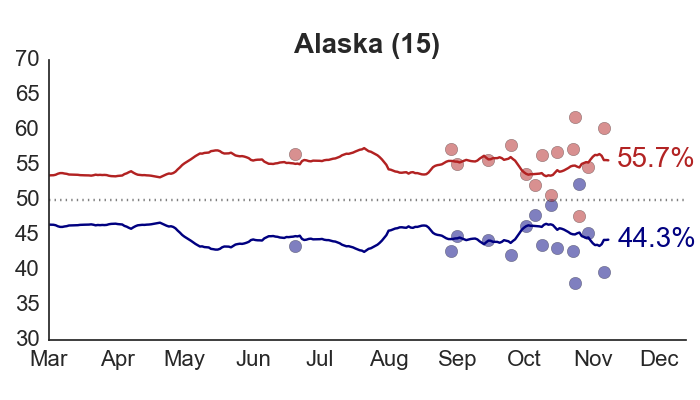 You can also read more about our modeling approach here. 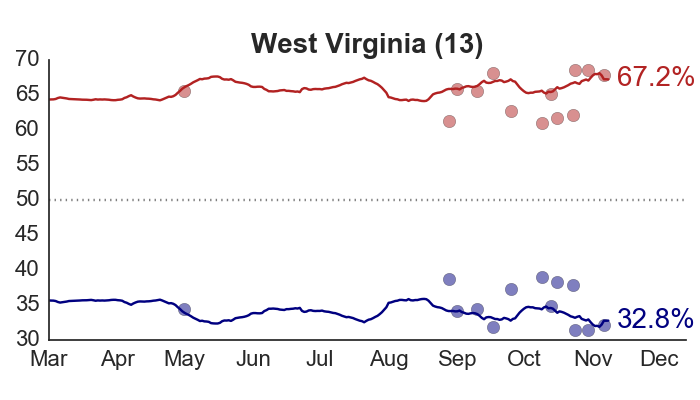 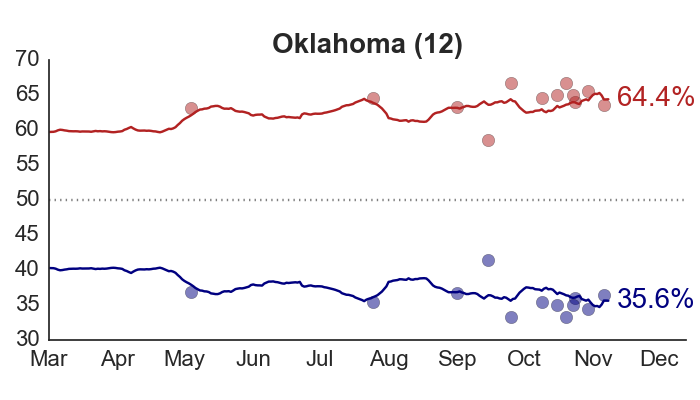 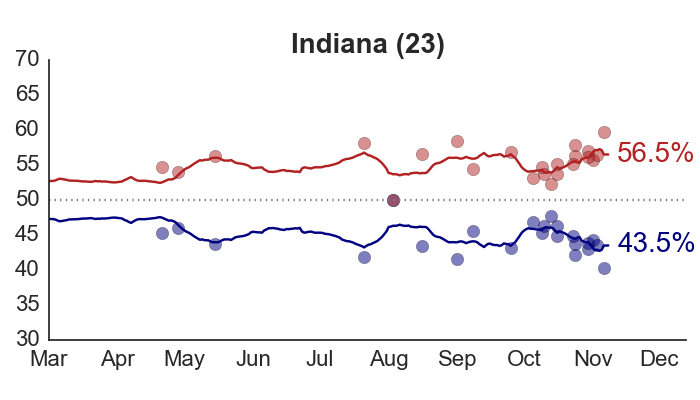 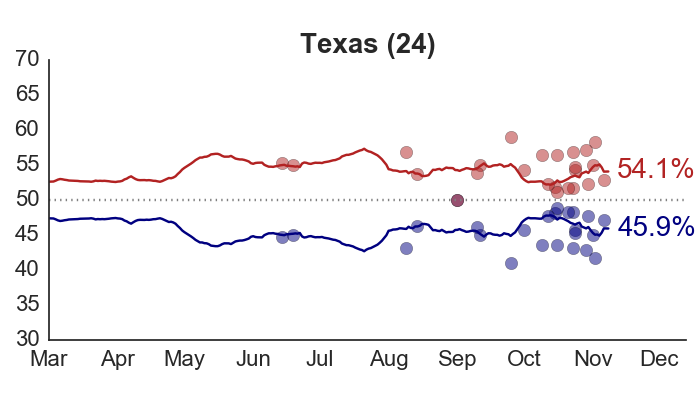 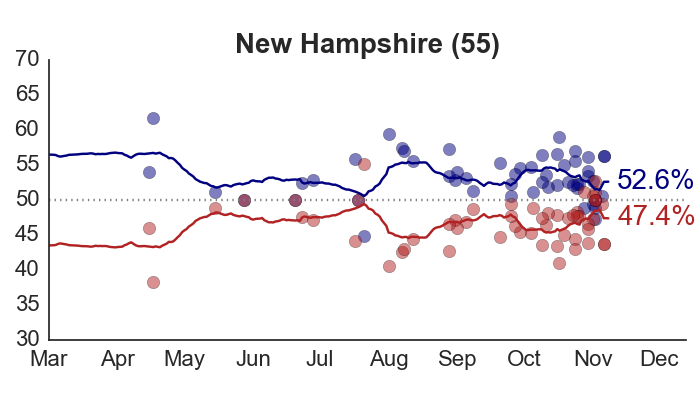 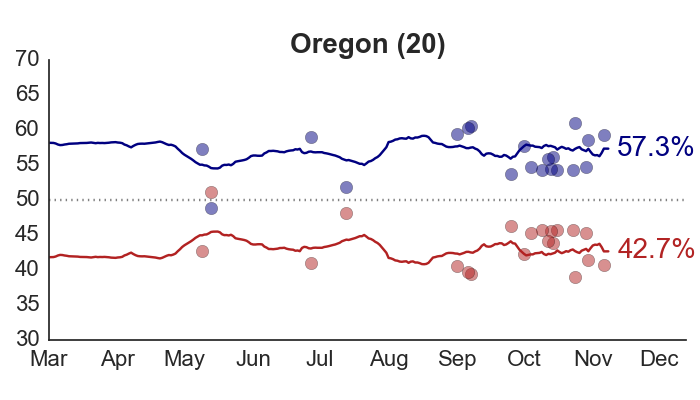 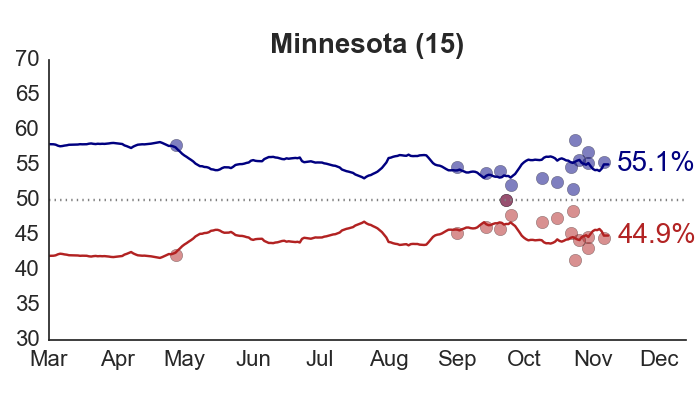 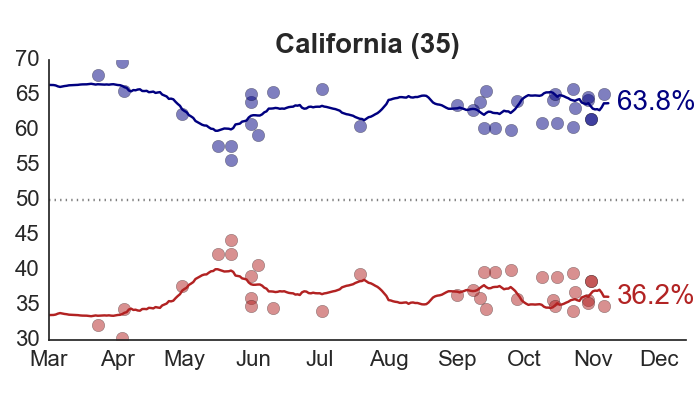 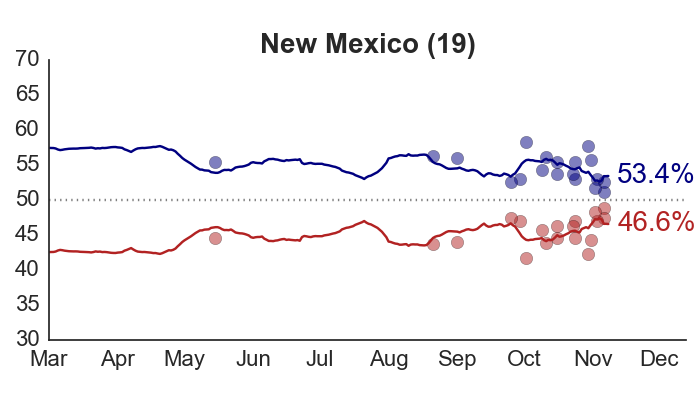 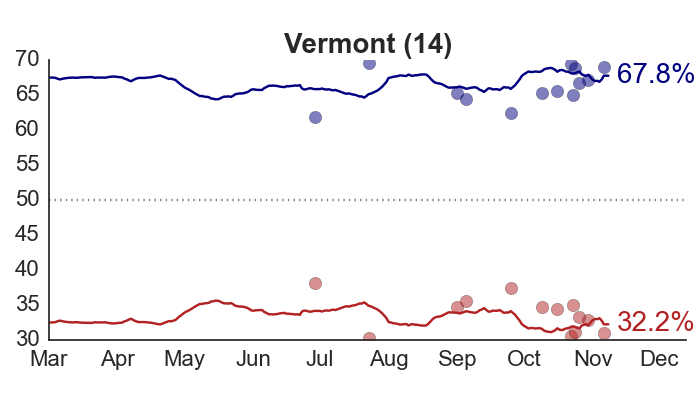 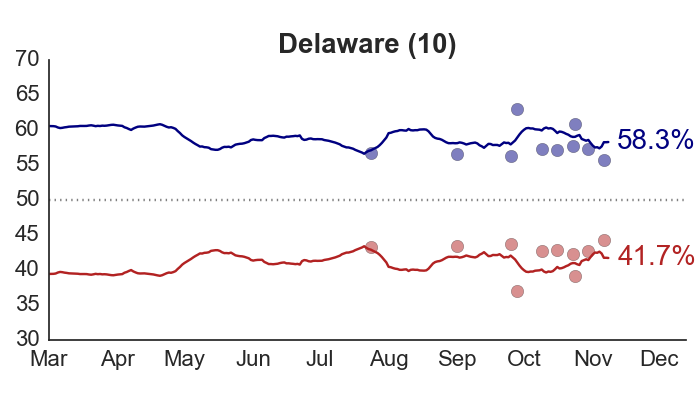 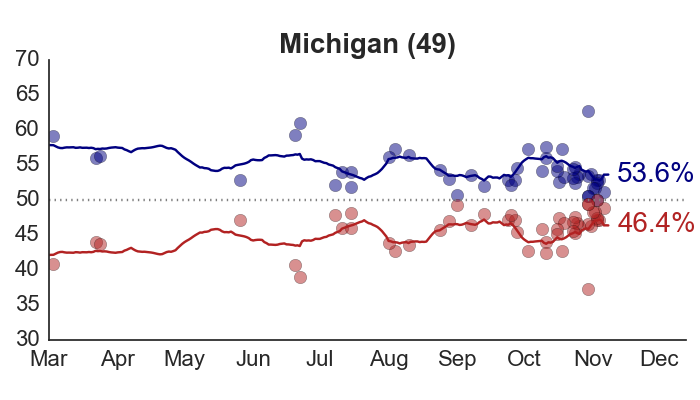 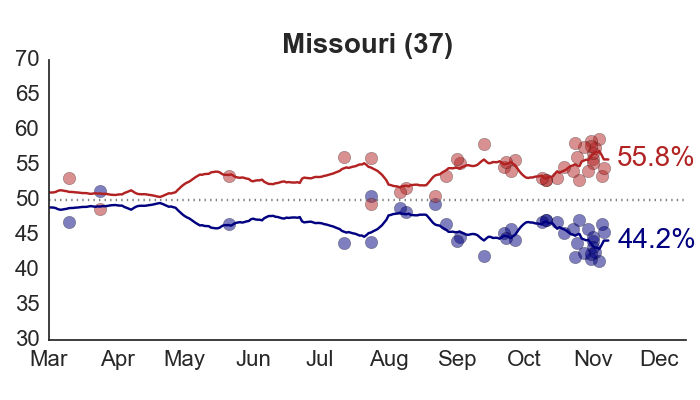 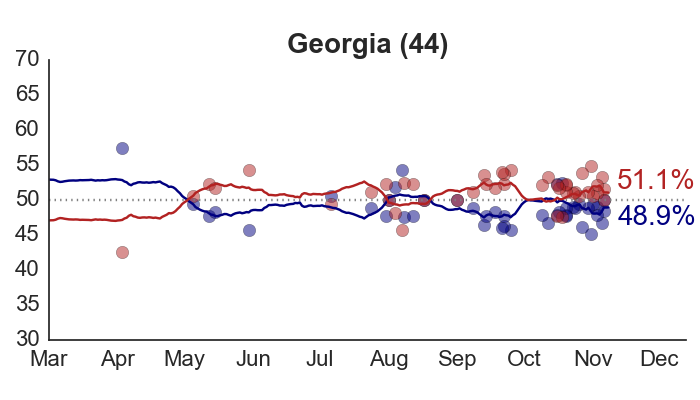 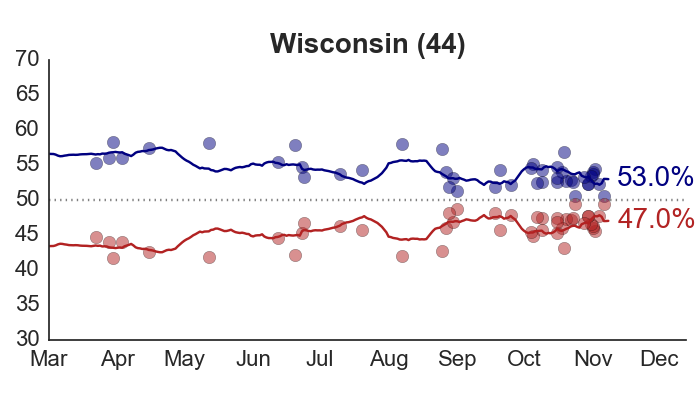 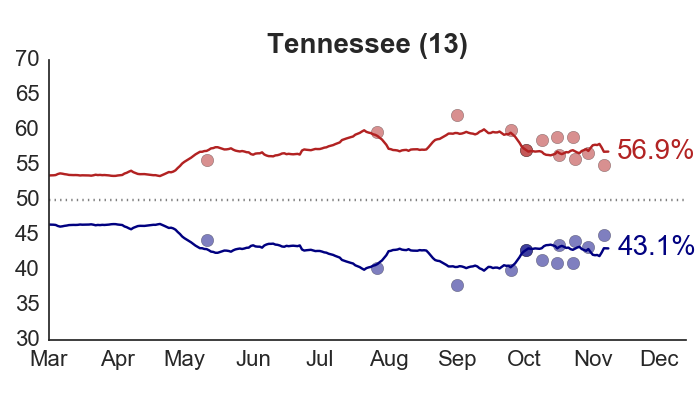 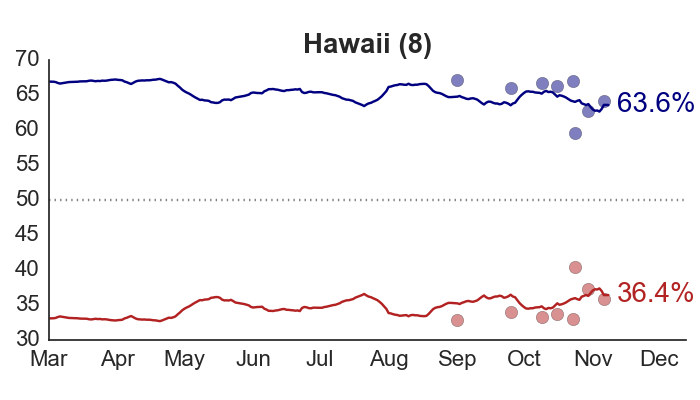 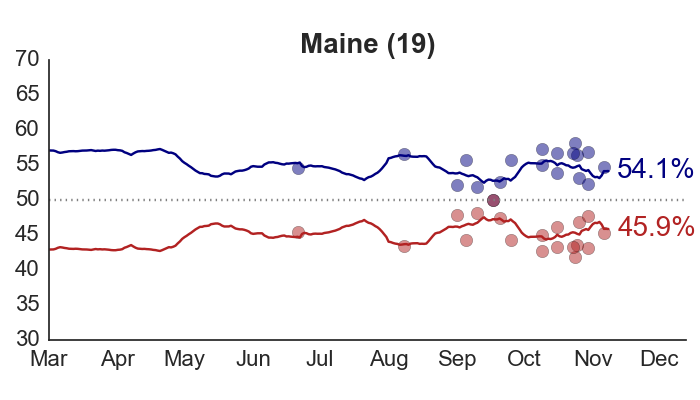 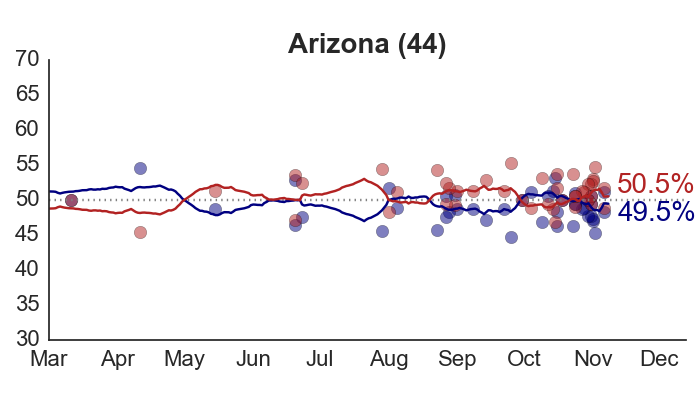 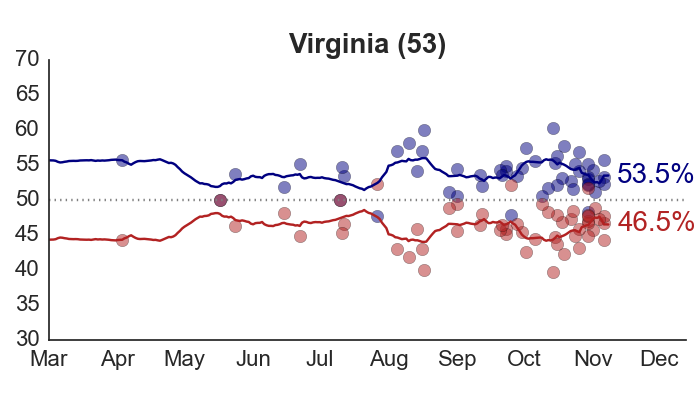 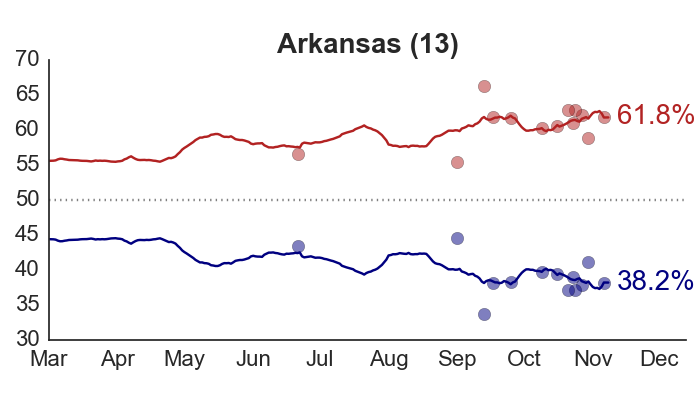 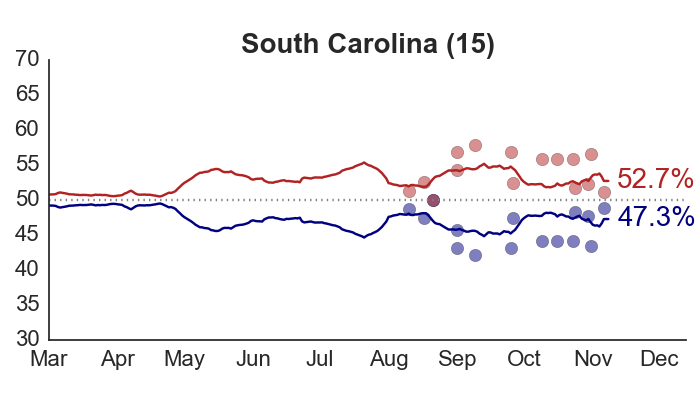 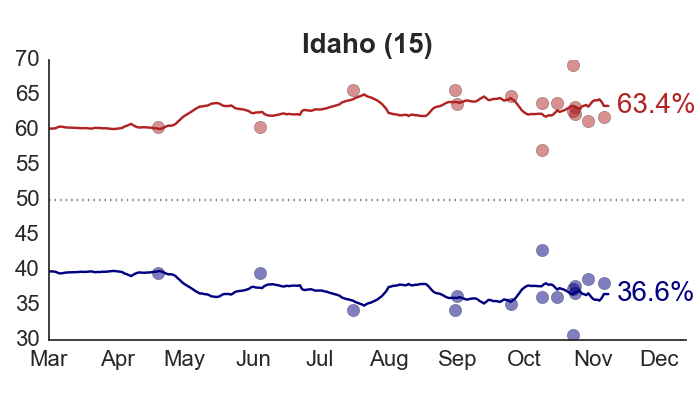 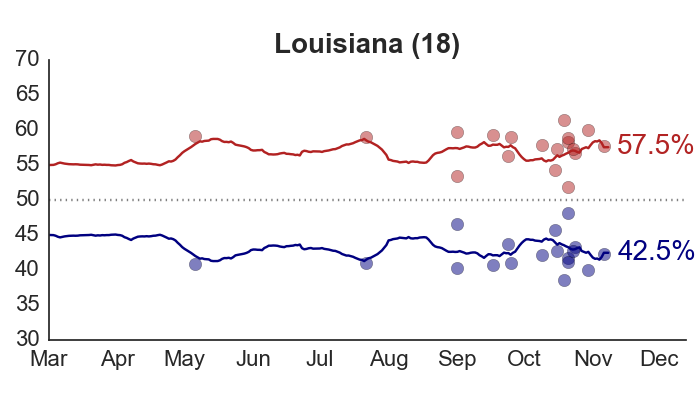 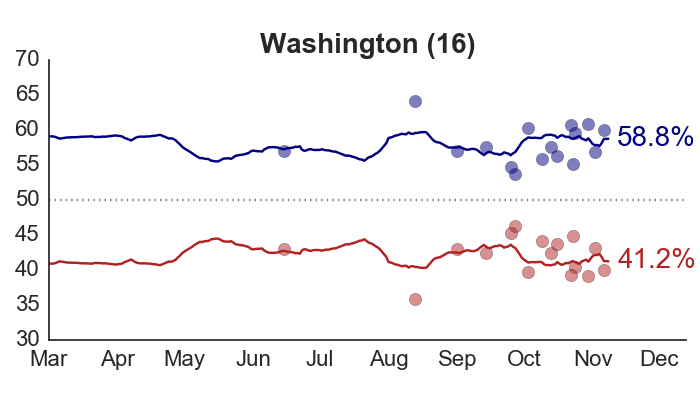 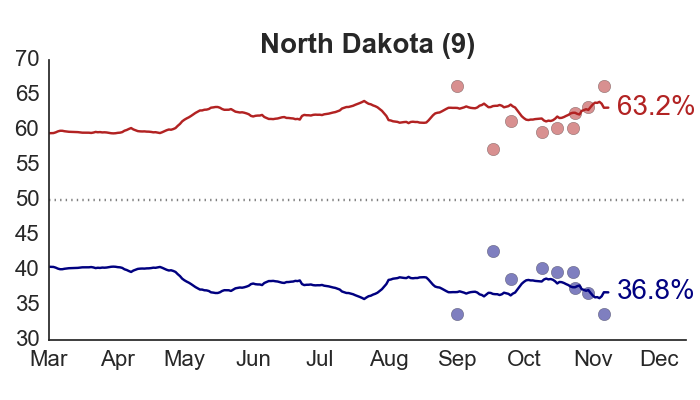 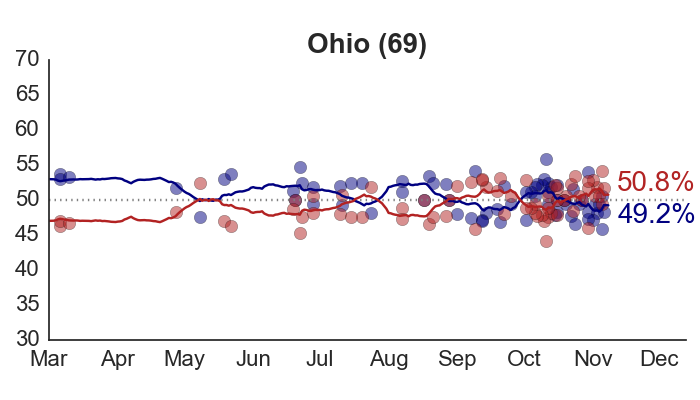 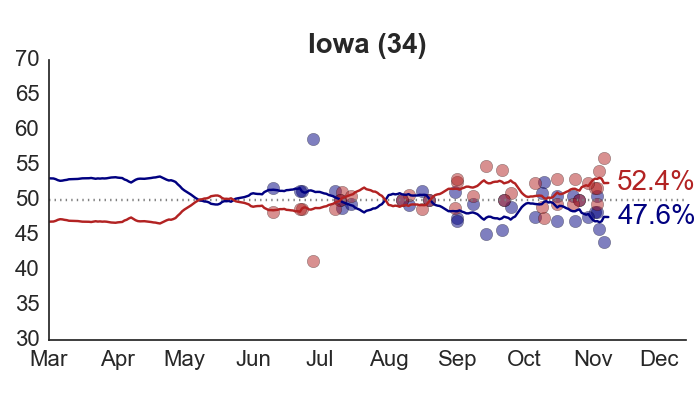 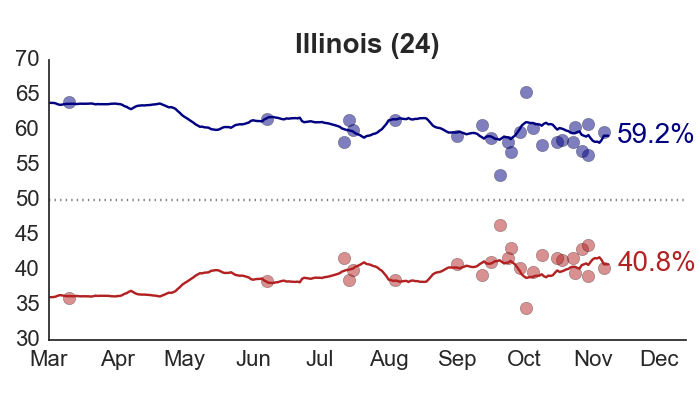 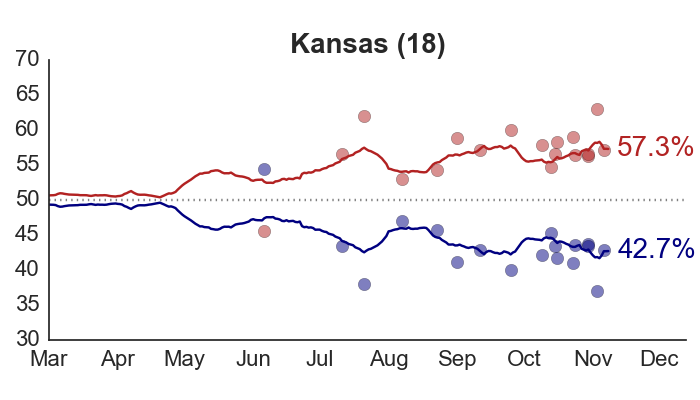 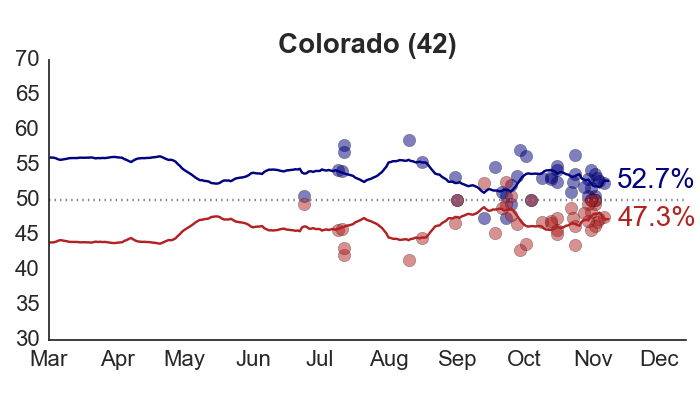 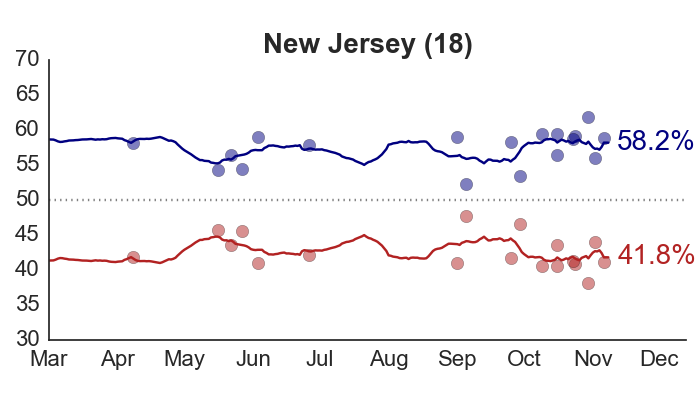 Overall, the polls aren’t looking good for Senate Democrats this year. 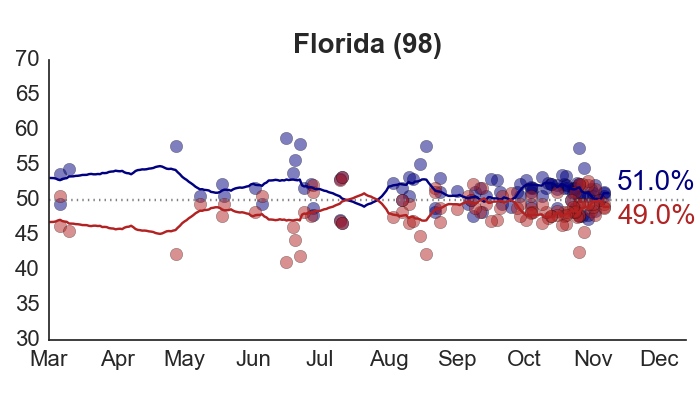 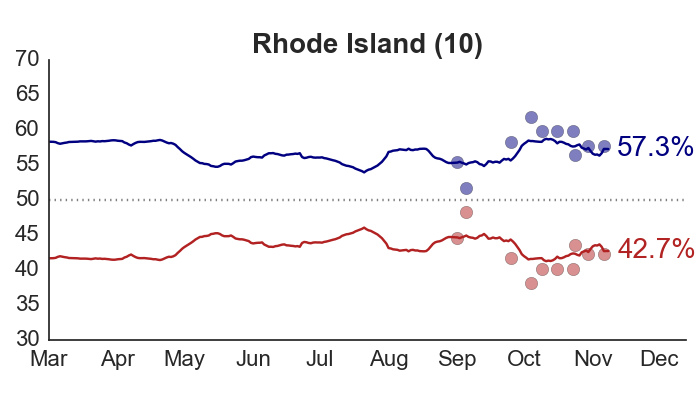 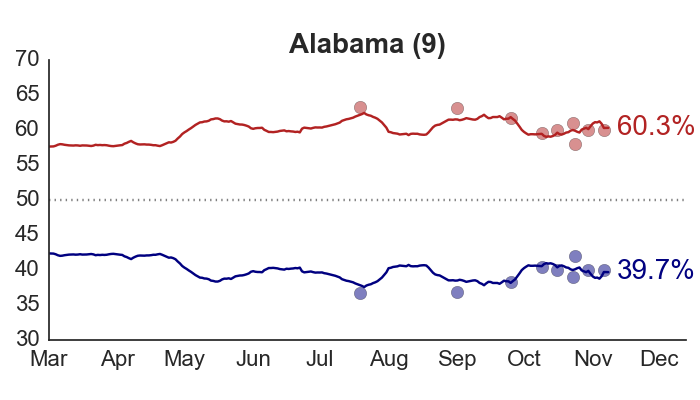 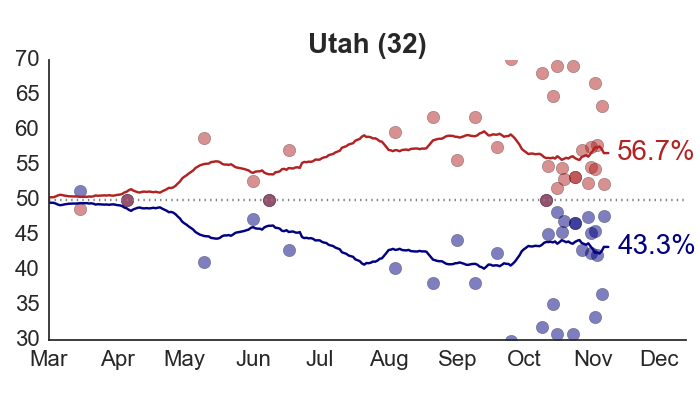 We predict a 90% chance that Republicans will gain control of the Senate (assuming the public polls can be trusted). 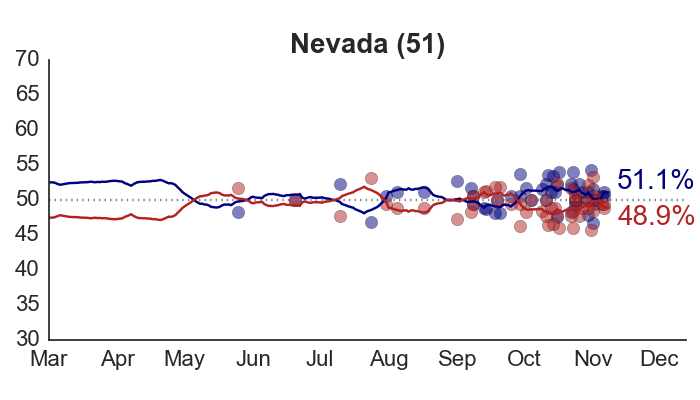 The most likely outcome is a 53-seat Republican majority. 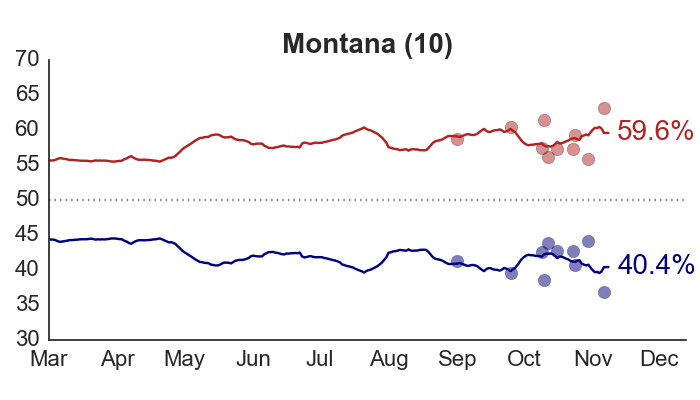 On the Gubernatorial side, the situation is better for the Democrats, but there are still a lot of close races — and a lot of uncertainty. 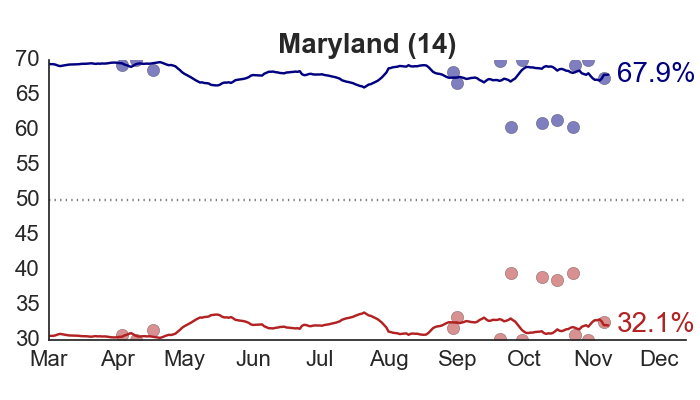 It’s possible that Democrats could end up controlling anywhere from 16 to 27 states; they currently control 21. 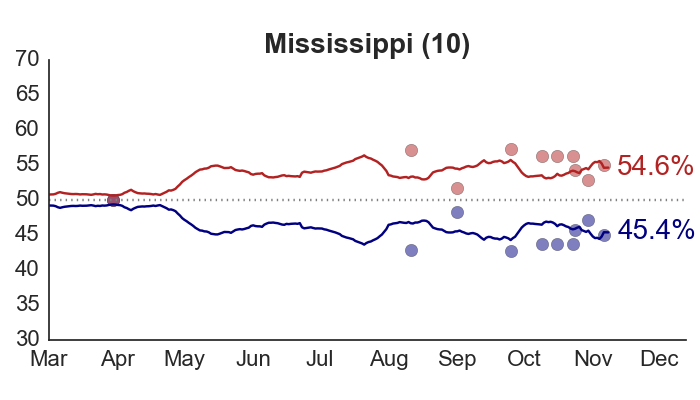 For more on the similarities and differences between the major midterm election forecasting models, Vox and the Washington Post both had very nice overviews of how Senate forecasts are typically made, how they should be interpreted, and how to judge their predictions after the election.